Run with a purpose and take advantage of scoring opportunities after a made or missed basket. Widely respected women's basketball coach Mike Divilbliss breaks down the secondary break into a system suited for all levels of basketball instruction. Coaches will learn to implement this system as a means to build a program with consistent winning tendencies over the course of multiple years even through changes in personnel. This DVD features teaching segments that introduce Coach Divilbiss' philosophy on the secondary break. 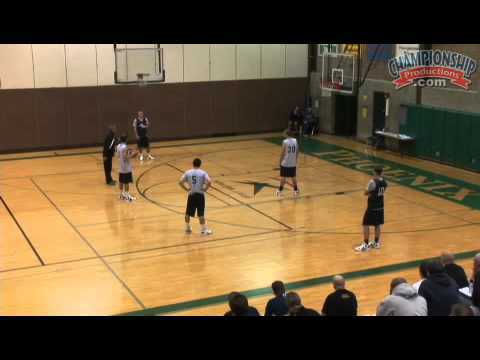 He teaches how to get the ball in-bounds quickly and details each of the five positions and their responsibilities. Stresses the importance of scoring quickly with "2.5 cycles in 34 seconds"
This is a DVD that coaches at all levels will find useful in improving their team's play in transition. Coach Divilbiss is thorough, but simple, in explaining how his secondary break can ignite your team's offense! It is a must have for the serious coach who wants to play up tempo basketball!